Sleep Less. Read More. : Fins Are Forever! The Splash Team for Tera Lynn Childs is posting the COVER for Fins Are Forever today! Tera wanted to make a splash revealing the cover, so those of us Splash Members with blogs are posting today. So, here it is! This is so exciting! It's gorgeous! Also, you can get the awesome widget countdown for the book HERE! 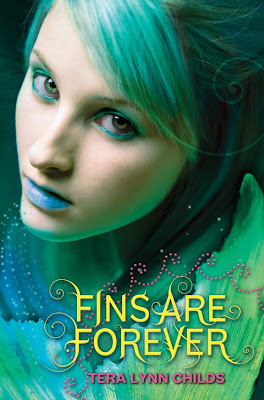 Fins Are Forever is set for release on June 28th 2011!